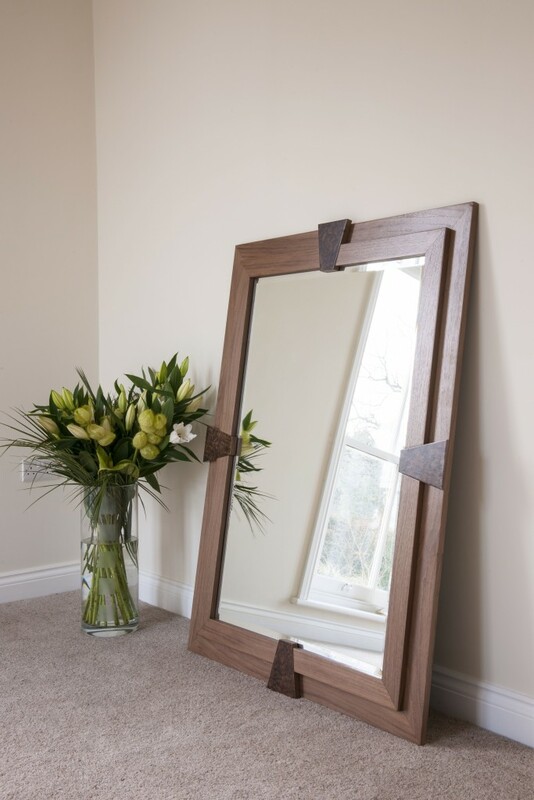 Luxury hand made mirrors to bespoke specification. Shown here in European walnut – also available in American walnut and maple, straight grain, figured and burr. Matt, semi gloss or gloss finishes to order.